These new crisps from Walkers weren’t necessarily going to be a blog post. Although they said “New Addition” on the bag I thought I’d had them before, or something very similar, and just thought we’d nibble them with some sandwiches one lunch time. Lime and Thai sounded like a nice combination and the Walkers Sensations range and their grab bags are always a big hit. 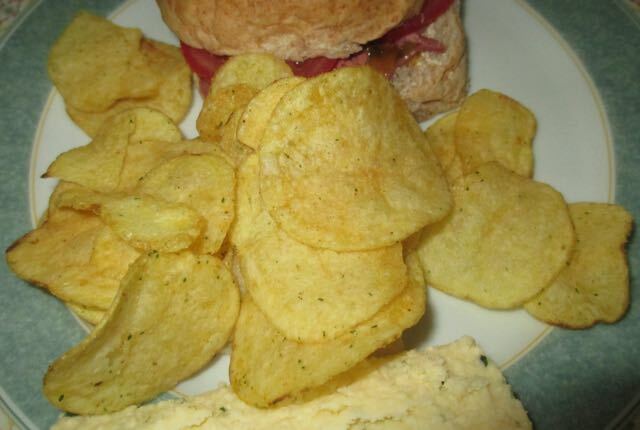 We shared some out, and the crisps looked nicely seasoned and covered in green specks. Once I took the first taste there was no doubting these were a bit different. 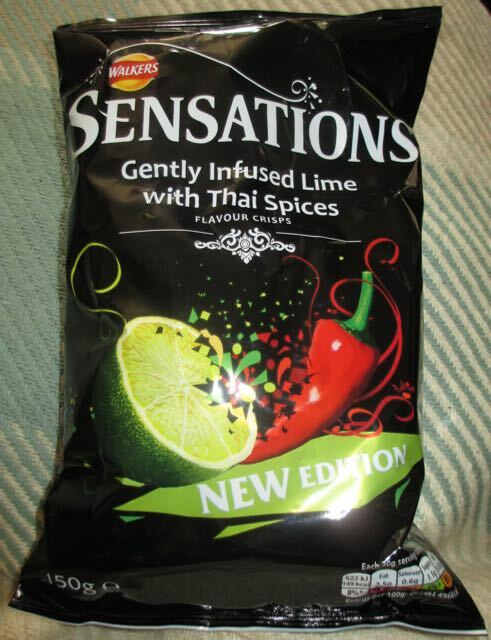 The bag states Gently Infused Lime, well I’d hate to see what strong lime is like because these are very tangy! The first taste to hit you is the sharpness of the lime, which is tart and strange at such a strong level on a crisp. Its fresh and zingy, but you then get a nice hint of the Thai seasoning. The aftertaste is back to that lime, it is the most dominant taste. The first crisp I ate I wasn’t sure about. It is such a different flavour, and it was unexpected. As I munched on them my palette seemed to adjust and accept this new combination and I became converted. Worth trying as they are so different but the problem with them being in a large sharing bag is that they might be a difficult flavour to share out in a group. I can picture these being a bit hit and miss.